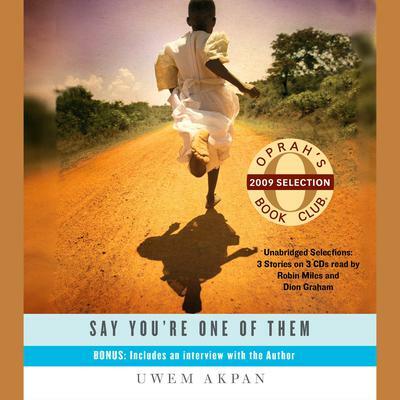 Uwem Akpan's stunning stories humanize the perils of poverty and violence so piercingly that few readers will feel they've ever encountered Africa so immediately. The eight-year-old narrator of "An Ex-Mas Feast" needs only enough money to buy books and pay fees in order to attend school. Even when his twelve-year-old sister takes to the streets to raise these meager funds, his dream can't be granted. Food comes first. His family lives in a street shanty in Nairobi, Kenya, but their way of both loving and taking advantage of each other strikes a universal chord. In the second of his stories published in a New Yorker special fiction issue, Akpan takes us far beyond what we thought we knew about the tribal conflict in Rwanda. The story is told by a young girl, who, with her little brother, witnesses the worst possible scenario between parents. They are asked to do the previously unimaginable in order to protect their children. This singular collection will also take the reader inside Nigeria, Benin, and Ethiopia, revealing in beautiful prose the harsh consequences for children of life in Africa. Akpan's voice is a literary miracle, rendering lives of almost unimaginable deprivation and terror into stories that are nothing short of transcendent.